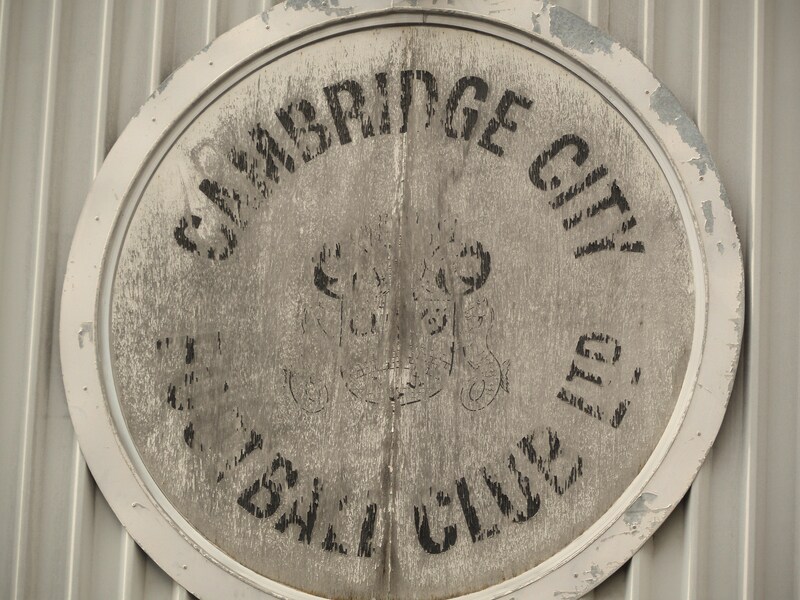 Did you know that Cambridge United could have been Cambridge City? Did you even know of the existence of Cambridge City? No, well what about Cambridge..yes! Right, let’s start again. Last Saturday I hopped on a train from New York Penn Station along my very good friends @lugepravda and @Luciejallen. Seventy minutes later and fifty dollars lighter we alighted at Philadelphia 30th street Amtrack station. 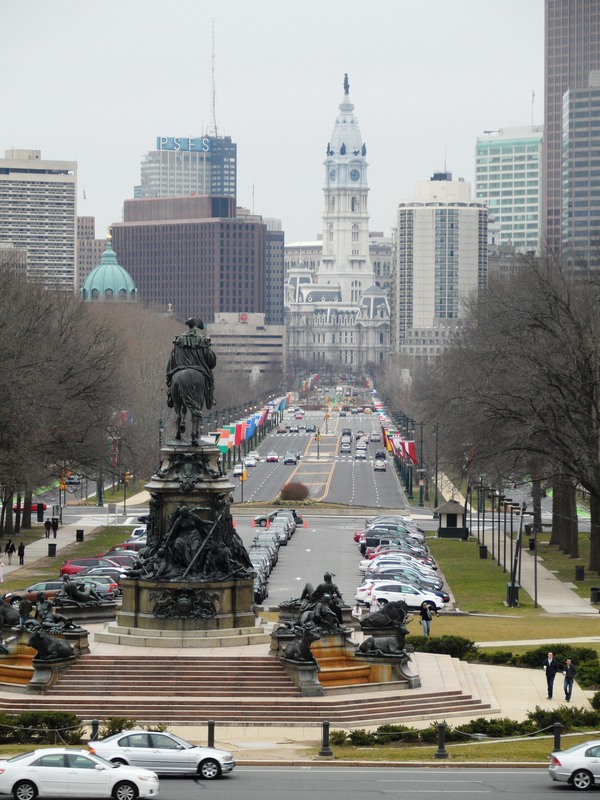 We were here on a whistle-stop tour of the sights, starting with the famous Rocky steps at the Museum of Art. From this vantage point you can see downtown Philly at the far end of the Benjamin Franklin Parkway. This tree-lined boulevard runs for around a mile in a straight line to JFK Plaza. On either side are the flags of the various nations of the world. As we approached the end of the boulevard we found United Kingdom, which irked us as there had been no English flag yet the Scottish flag flew proudly and not far in the distance we could see the Welsh dragon looking down on us. We’ve all seen those American movies immortalising the road trip, that carefree adventure on the open road, punctuated by freedom, adventure and hilarious consequences normally involving accidentally driving into “no go” areas, visiting churches dressed as strippers (or strip joints dressed as Nuns) and setting fire to hotel rooms. Well occasionally we get the opportunity to go on a road trip of our own. Who needs strippers and alcohol fuelled conceptual pranks when you could go to Cambridge, Mansfield, Hyde and Gainsborough all in the space of five days. We are really living the dream here I can tell you. So where is the home of English Sport? Is it Wembley? Twickenham? Some might say Wimbledon, whereas more traditionalists who like their sport laid back may say Lords. Everyone will have a view but to me it is Wembley Stadium. However, I was prepared to give another venue a go and a rare opportunity arose to see a game at two “homes” of English sport in one afternoon. And withsuch a momentous occasion it would be rude to travel alone – step forward Mr Last who had obviously also won a heat of Husband of the Year and been given a multi-coloured pass for the day. CMFhad been away with her chums for a week in Menorca andI had done a sterling job on children duty, packing inappropriate food in their lunch boxes (what is wrong with Chicken Tikka Masala sandwiches), making sure they told their teachers they stayed up to midnight (it was 9 o’clock but they don’t need to know that) andgenerally doing all the things kids like to do but never get away with it. A cheeky bunch of flowers on her arrival at Gatwick went down very well and so I slipped in the comment about being out all day and why not take the kids to Chessington. And the response? “Absolutely no problem – would you like me to make some sandwiches for you? You have been such an angel you deserve it” What was she planning? We will see. So the plan was to meet Mr Last, hot foot it up to Lords for the first innings of Middlesex versus Somerset in the “Friends Provident not quite as exciting as Twenty20 Trophy” and then onto Wemberlee for the Blue Square Conference Play Off Final – a titanic fight for a place in the Football League between the Yellows of Cambridge United, and er the Yellows of Torquay United. 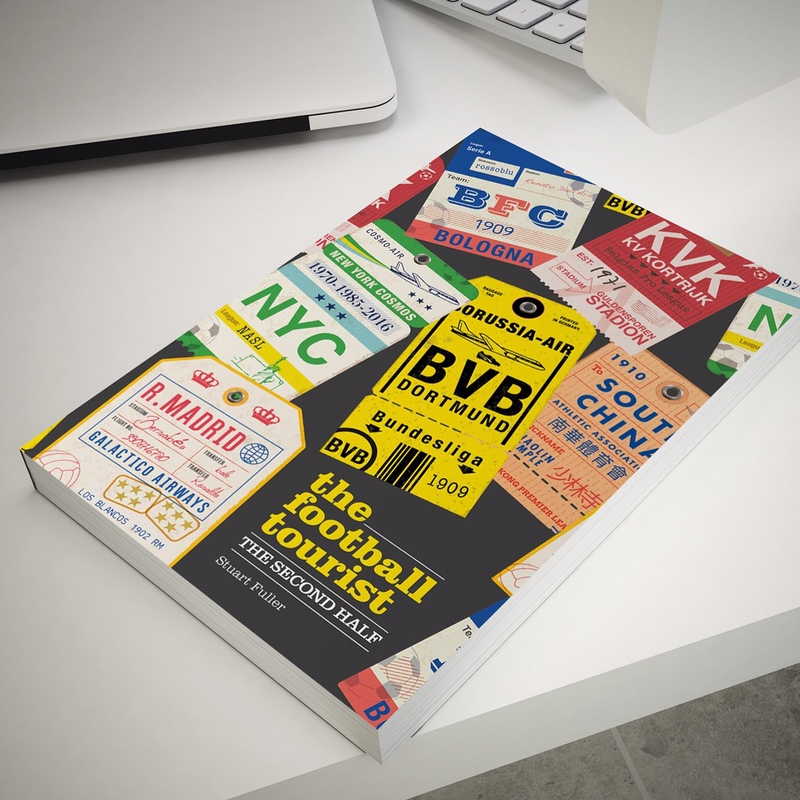 After Burton Albion stumbled, fell, got up, got hit by a train, crawled along andfinally spluttered over the finishing line in first place, the secondpromotion spot had been eagerly fought with all four teams in the play off spots separated by just five points at the end of the regular season. The second pomotion place was introduced in 2003 as an end of season play off. Since its inception the teams who have ended up being promoted in this way have actually faired better in the Football League than the Conference winners. In 2003 Doncaster Rovers beat Dagenham & Redbridge on the golden goal and have since hit the heady heights of the top half of the Championship. The following year Shrewsbury Town won back their League place andwill hope for similar luck next weekend when they face Gillingham for a place in League One. In 2005 Carlisle United beat Stevenage Borough andhave since climbed the League One table after promotion in 2007. May 2006 winners were Hereford United who were also promoted to League One, although they fell back down last month. Morecambe beat Exeter City 2-1 in 2007 and actually remain the only club to have won the play offs and not been promoted as the beaten finalists the Grecians came back last year and beat Cambridge United andfollowed this up with promotion this year on the last day of the season. In the same period all bar one of the Conference winners have failed to progress at all (Yeovil Town being the exception who almost made the Championship last season) whilst Chester City have again returned to the non-leagues after relegation for the third time from Division Two. So omens are good for the winners although on the negative side every final had been decided by one goal or penalties meaning a tight and nervous ninety (or longer!) minutes. Last season Cambridge United and Exeter City played out a tense game in front of 42,500 at Wembley witha single Rob Edwards goal in the first half enough to decide the game for the team from Devon. This time around we expected much more of an open game as only three points separated the teams after 46 games. Cambridge had the meanest defence in the league, conceding 41 goals whilst Torquayhad one of the best attacking records with 72 goals. I had my hat on Torquay, only for the simple reason of being Luge, my man in New York’s, eyes and ears at the stadium – it is not many people who can claim to know a Torquay fan (and seeing Helen Chamberlain on the TV doesn’t count!). So is this such a big game for the winners? The health of the relative leagues is often overlooked in the media’s bias to the Premier League. Average attendances in Division Two were just over the 4,000 mark last season, boosted by cheap ticketing at places like Bradford who had an average attendance of nearly 13,000 (higher than every team bar three in League One and three teams in the Championship) and Luton who not only had a decent home average but consistently took over 1,500 to away games. In fact there were twelve teams in League Two whose average attendance was less than the top two in the Conference (Oxford United and Cambridge United). The standard of the teams was not really different either with over a dozen teams in the Conference full time andthus offering facilities on a par with their league counterparts. Stadiums and facilities – check. Oxford’s Kassam, Wrexham’sRacecourse Ground, Mansfield’s Field Mill and Burton’s Pirelli Stadium are head and shoulders above the grounds owned by Accrington Stanley, Macclesfield Town, Barnet or Dagenham and Redbridge. But before we could sample the media facilities for the first time at Wembley (thank you Keirina from the Football Conference for sorting that out for us) it was a brief trip to the “Home of cricket”, Lords for a quick innings of their tenants versus Somerset. A common schoolboy error is the assumption that Middlesex CCC actually own Lords. They don’t – it is owned by the Marylebone Cricket Club aka the MCCwho rent the ground out. In theory as the ancient county of Middlesexdoesn’t exist apart from being a postal address they could put the ground up for auction to the likes of Kent or Surrey (don’t get me started on the whole Surrey and Oval thing – it’s in London for christ sake!) and banish Middlesex. However that is unlikely to happen anytime soon as the relationship between the two is very good. Middlesexby the nature of having such a marvellous ground are seen as the grown up team in English cricket, always playing by the rules and never really taking that teenage risk. Until last season that is. At the start of the 2008 Twenty20 season, now disgraced multi billionaire Sir Allen Stanford announced he would be creating a world series of Twenty20 cricket culminating in a Champions Cup where the English Twenty20 winners would play their counterparts from the West Indies in a huge winner takes all game. His long term plan was to create a “Champions League” of Twenty20 cricket with the winners from the respective tournaments around the world all competing for a huge cash pot in his native West Indies. However, he was beaten to the line on the latter as the World Series of Twenty20 was announced for December with the winners and runners up of our domestic tournament going to India to play. So withan added bonus the English season took shape with defending Champions Kent, again setting the benchmark. On the finals day down at the Rose Bowl they brushed aside the Essex Eagles and met the MiddlesexCrusaders in the final who had demolished the Durham Dynamos. With their distinctive pink shirts lighting up the Hampshire sky, Middlesex held their nerve in a gripping final to win by 3 runs and thus claim entry into the two money spinning tournaments. Kent on the other handwere left with nothing. Because their team included two players who had played in the (then) rebel Indian Premier League they were not invited to take part in th e World Series. Middlesex never got the chance to pit their wits against the world’s best. Security concerns after the terror attacks in Mumbai meant the tournament was cancelled, and in the Stanford Champions Trophy a village green pitch hardly helped the team as they lost to Trinidad and Tobago. So hope springed eternal that this season would be as good. 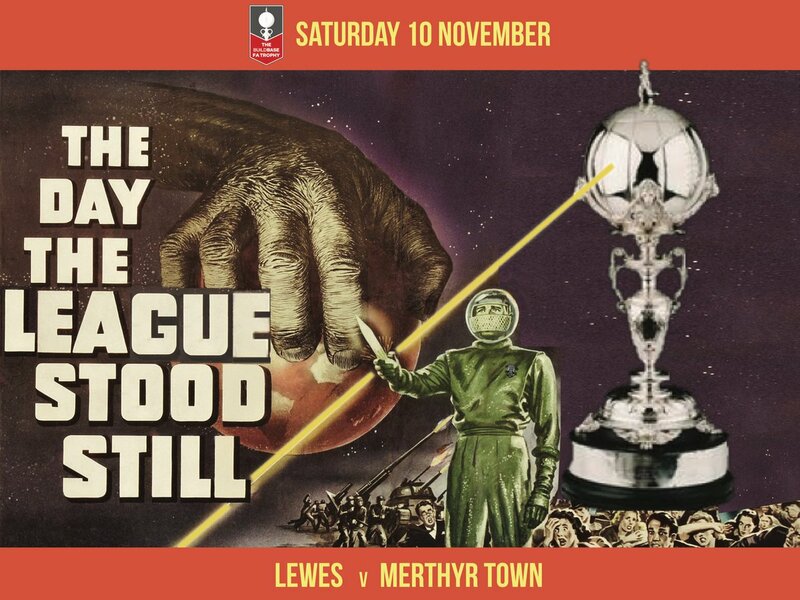 They desperately needed a boost as they had dropped to the lower leagues of both the four day game and the one day variety, The Friends Provident Trophy was an early attempt at gaining some form to take into the league matches. So far Middlesex had had a mixed bag with three wins and three defeats from their six games. Visitors Somerset on the other handled the league with four wins from their five games so far and knew that a win would guarantee them a spot in the quarter finals. Rain, rain, rain….what a way to start the day. I had arranged to meet Mr Last at Lords at 11am but it looked like we would not be seeing any play. The very kindly MCC Media manager had managed to sort me out a media pass for one of the best looking media facilities on the planet – “The Spaceship” which sits above the stands at Lords. As if by magic the rain stopped, the clouds parted and the bar opened meaning that we were going to get a few hours play as well as a couple of cheeky pints in. Fourteen year waiting list to sit here! Lords really is the Home of Cricket. They have spent millions on the ground in recent years and not a penny has been spent out of place. It is truly a magnificent venue. This year they have installed the next generation of floodlights. Whilst they may look like they have been transported from Eastern Europe or Russia, they are extendable and can grow in a way that any teenage boy would know when he opens the Kays catalogue at the swimsuit page. The media centre sits at the east endof the ground with a perfect view of proceedings and withthe sun shining we looked forward to a couple of hours worth of cricket. Andwhat a place to watch a game from. The facilities there are as modern inside as the booking looks, with lots of curves and glass. I managed to blag Danny a pass as well so before play started we were tucking into the complementary refreshments in the company of very few other media chaps. The crowd was very thin on the ground, with no more than a thousand brave souls in the stands. The pavillion had a few MCC members in as well. Now what I cannot understand is how there is a 14 year waiting list to be a member here when only a dozen or so actually bother to turn up. Middlesex, sporting their fetching navy and pink kit had won the toss and decided to take advantage of the fast outfield. They started slowly and it took an early wicket when Godleman was run out for them to start accelerating as the controversialHughes (He is seen to be getting a competitive advantage for the Ashes by batting in the county game before he joins up with the tourists in July) and Owais Shah raising the run rate to over 5.5 an over with some aggressive batting andeasily passing the 100 partnership with a majestic four over mid off (eventually the two scored 119 and82 respectively in the huge 341 for 7 total). We left Lords with a smile on our faces anda spring in our step with Middlesex well on the way to a huge total as we made our way to Wemberlee. A brisk walk, a nine minute train journey (stuff the tube, Marylebone to Wembley Stadium is by far the best way to travel to the ground) and we were inside the bosom of our newest national treasure munching down on pastrami rolls within half an hour. With only the lower and middle tiers open I thought the atmosphere would be muted but I was wrong. Cambridge fans dominated the stadium but the noise was equally as loud from the west country contingent. Our seats were in the media section which you would think would offer protection from the elements. Oh no. The rain continued to fall amongst the sunny spells and the wind simply blew it onto our laptops and TV screens. Good planning on that one! Five minutes in and the Cambridge fans were bouncing on their feet, drowning out any sound from the Gulls fans at the other end. The first contentious issue was in the 7thminute when mask wearing Tim Sills appeared to lead with a forearm on Wayne Hatswell that had the Cambridge manager Brabin off the bench fuming, yet the referee saw nothing in the incident. Not so Wayne Carlisle though as the Gulls midfielder was booked a minute later for a clumsy foul on a Cambridge player. The row between Sills and Hatswellcontinued with both of them picking up yellow cards in the first twenty minutes for less than friendly challenges on each other. In fact that was really the story of the first thirty minutes, petty challenges and a few openings for either side. Cambridge had a small shout for a penalty in the 23rd minute when a cross appeared to strike a Torquay arm but the referee was having none of it. Cambridge continued to look dangerous on the break and took a fine save from Poke in the Torquay goal to deny them an opening goal when he turned Robbie Willmott’s shot over in the 32nd minute. All that counted for nothing two minutes later as Torquay long haired lover and captain Chris Hargreaves ran onto a knock down and powered a shot into the back of the Cambridge net to open the scoring. The goal brought Torquay out of their shell and some fantastic one touch passing in the 40th minute carved apart the Cambridge defence andalmost led to a second bar a last ditch tackle from Bolland with the keeper stranded. The pace after the break sped up and both teams abandoned any defensive strategies and broke on the break whenever they could. Hargreaves teed up Nicholson from twenty yards and he narrowly shot wide and seconds later a deflected Sills cross nearly doubled Torquay’s lead. Cambridge came right back at them and a Dan Gleeson effort nearly beat the Toquay keeper Poke at his near post. This was turning out to be a cracker of a game, andneither team (or their respective fans) deserved to lose. It is hard to see the winner failing to buck the trend of success in the league based on the showing here at Wembley. apologies regular readers for the lack of action points but if I listed them all you would be reading for days such was the cut and thrust nature of the game. However, on sixty nine minutes Cambridge were reduced to ten men which was hard for their fans to swallow (get it?) when Bollandwas shown a second yellow for a silly push on Torquay’s diminutive Danny Stevens when he was basically running into the corner and no danger. The resulting free kick again tested the Cambridge defence to the limit. Seventy four minutes gone and it was two nil as a Torquay counter attack down the right saw a perfect cross floated in and Sills rose unchallenged to effectively end the Cambridge battle. Torquaythrew on Lee Hodges with five minutes to go – not to be confused by the other Lee Hodges who had started his career at West Ham, playing in the same legendary youthteam as Ferdinand, Lampard and Stevenage’s Lee Boylan who was also a tricky winger and showed alot of promise in his younger years. And so the Blue Square Conference season came to a close with Torquay United joining Burton Albion in the Football League. For me I had come to enjoy the intimacy of the league, far more enjoyable than the professional game in so many ways. It had also been a fantastic day so far, but I was not finished. I was off to the O2 Arena for the Blue Man Group Show and another freebie. The best laid plans and all that….We had agreed to meet at 7pm, the show started at 6.30pm and we were in the 2nd row. Not too embarrassing taking our seats half way though! Lords, Wembley and the O2 all in one day, all free andall with the blessing of CMF – The Perfect Storm! Lord’s Cricket Ground is the home of English (and some say world) circket and is located in St John’s Wood, London. Named after its founder, Thomas Lord, it is owned by Marylebone Cricket Club (MCC) and is the home of MiddlesexCounty Cricket Club, the England and Wales Cricket Board (ECB), the European Cricket Council (ECC); and until August 2005, the International Cricket Council (ICC). Lord’s today is not on its original site, being the third of three grounds that Lord established between 1787 and 1814. His first ground, now referred to as Lord’s Old Ground, was where Dorset Square now stands. His second ground, Lord’s Middle Ground, was used from 1811 to 1813 before being abandoned due to the construction through its outfield of the Regent’s Canal. The present Lord’s ground is about 250 yards north-west of the Middle Ground. Lord’s is home to the oldest sporting museum in the world. Much of Lord’s Cricket Ground was rebuilt in the late 20thcentury. In 1987 the new Mound Stand, designed by Sir Michael Hopkins, was opened followed by the Grandstand (by Nicholas Grimshaw) in 1994. Most notably, the Media Centre (by Future Systems) was added in 1998-9 which won The Royal Institute of British Architects Stirling Prize for 1999. The ground can currently hold up to 32,000 spectators. However, a major redevelopment has been proposed, which would increase capacity by another 10,000 as well as adding apartments andan ice rink. Over one hundred Test matches have been played at Lord’s, the first in 1884 when England defeated Australia by an innings and5 runs. Australia’s first win was in 1888 by 61 runs. Lord’s is also one of the planned venues for the 2012 Summer Olympics. The archery competition will take place in front of the Pavilion, with the archers positioned in front of the Allen Stand andthe targets placed in front of the Grand Stand. The ground is located at the start of the Finchley Road which runs from Baker Street. The nearest tube station is St John’s Wood which is a 3 minute walk away to the east and is on the Jubilee Line. Buses 13, 82 and 113 run from Baker Street and it is only a 10 minute walk from there or Marylebone which is the nearest rail station. Quite a difficult one to answer as it depends on the game. For general Middlesex county and Sunday League games you can pitch up and buy a ticket on the gate for £16. For Twenty20 games it is £20 and for internationals, well you should have applied months ago! Tickets for test matches against the likes of the Australians go on sale 6 months before the games andcost upwards of £70 per day. There are tickets to be had from touts aroundthe groundbut be warned the gate staff may not let you in – “it’s simply not cricket!”. More details can be found here.